A special combination of vitamins & minerals providing nutrients that impact on blood glucose metabolism & antioxidants that contribute to cell protection. Made made using high quality, whole food ingredients in a food state matrix, providing optimal absorption & utilisation. Suitable for vegetarians. Helping to support good blood sugar levels is important, especially as we get older. It is a reflection of today’s foods that several important minerals involved with blood sugar regulation are deficient. It has been shown in studies that chromium, zinc, magnesium & selenium are up to 60% deficient in our modern diet. This could explain in part the disturbance in proper blood sugar levels. The Wise Owl Blood Sugar Support Formula contains nutrients that are known to help balance blood sugar levels. Research has shown that Glucose Tolerance Factor Chromium can help to regulate the body’s blood sugar levels, improves the body's metabolism of glucose & helps to balance cholesterol levels. Along with GTF Chromium, there are 9 additional vitamins & beneficial antioxidants & 5 beneficial minerals. 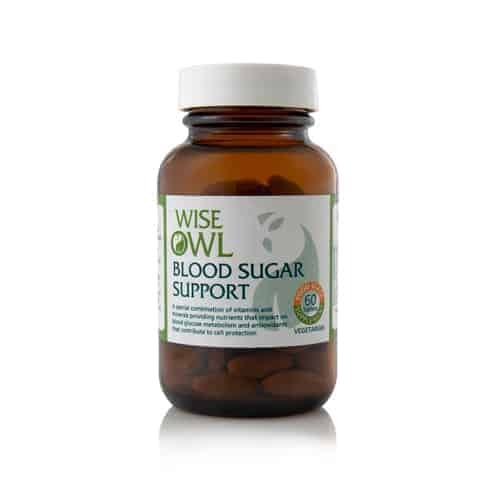 Wise Owl's Blood Sugar Support Formula is a 'food state' supplement. 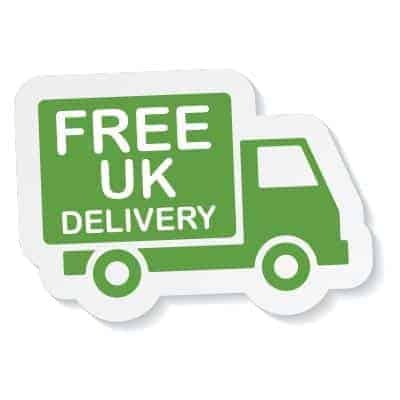 This means that not only is it a whole food supplement, but it is fully incorporated into a food matrix so your body can absorb & utilise it as it does real food, giving you nearly 100% of the active food nutrients. Helping to support good blood sugar levels is important, especially as we get older. The Wise Owl Blood Sugar Support Formula contains nutrients that are known to help balance blood sugar levels. The formula contains beneficial nutrients including Glucose Tolerance Factor Chromium. This is the most active form of chromium that research has shown can help to regulate the body’s blood sugar levels. GTF Chromium specifically improves the body's metabolism of glucose & helps to balance cholesterol levels. This Food State nutritional supplement contains other nutrients that are also involved with balancing blood sugar levels. There are 9 additional vitamins & beneficial antioxidants & an additional 5 beneficial minerals which supply additional antioxidants, including zinc. It is a reflection of today’s foods that several important minerals involved with blood sugar regulation are deficient. It has been shown in studies that chromium, zinc, magnesium & selenium are up to 60% deficient in our modern diet. This could explain in part the disturbance in proper blood sugar levels. Recommended Intake: 1 to 2 tablets daily or as directed by a practitioner. Do not exceed the recommended daily intake. This product should not be used as a substitute for a varied diet and healthy lifestyle. Product Ingredients: Vitamin C incorporated in citrus pulp with bioflavonoids; yeast concentrate providing: niacin, calcium, magnesium, thiamine, zinc, manganese, GTF chromium, selenium, biotin, copper, folic acid; vitamin E combined in yellow pea; vitamin D and vitamin B12; vegetable stearic acid, vegetable magnesium stearate, vegetable cellulose, silica.